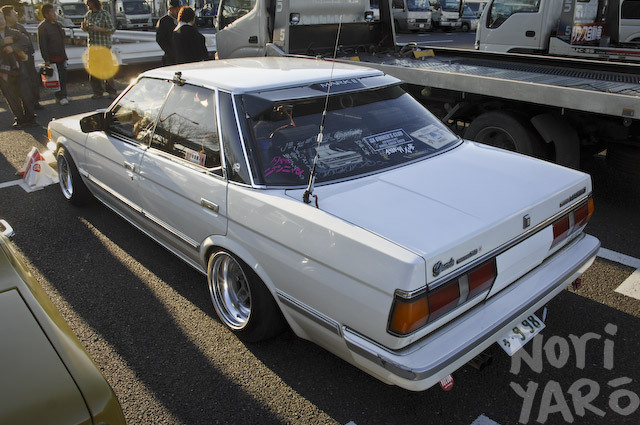 I now have a large bruise in my arse from where I have been repeatedly kicking it for only giving myself ten minutes to cover one of the most awesome static car shows I have seen in Japan so far. 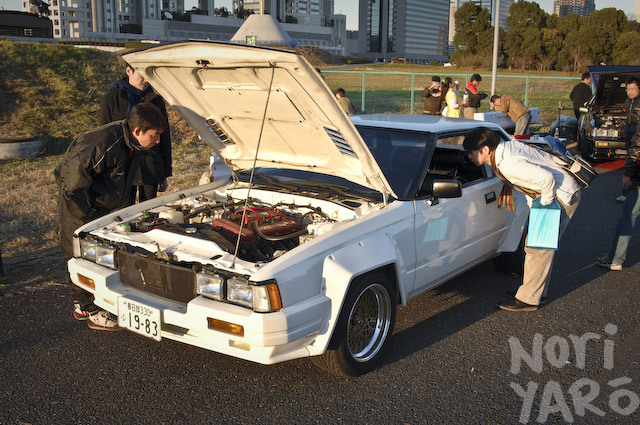 Why wasn’t I there on time to cover the Japan Classic Car Association’s annual New Year Meeting in the Odaiba parking area? 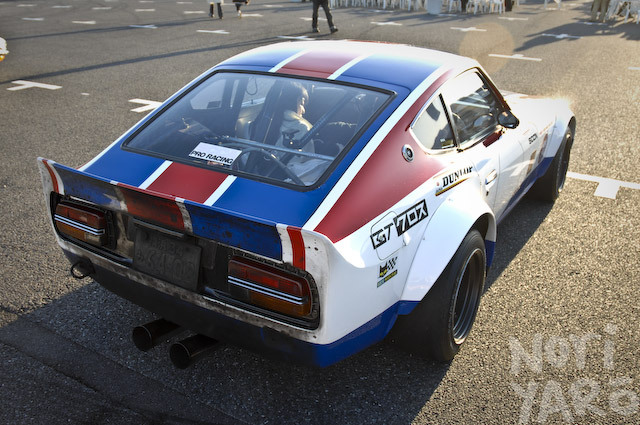 As I mentioned yesterday, we had a rather important interview scheduled at the same time with a person of great interest to the worldwide Japanese modified car scene. Of course, work generally has to come before pleasure, but when pleasure is only ten minutes down the road from where you’re working that day, you’re going to try your damnest to get there in time. I only managed to catch this guy just as he was leaving. I think his name is Komaki, and his Zed is more than awesome. Of course, you should wash every part of the car except for the very rear, for that combination “just ran an endurance race” and “cops can’t read my plate” look. 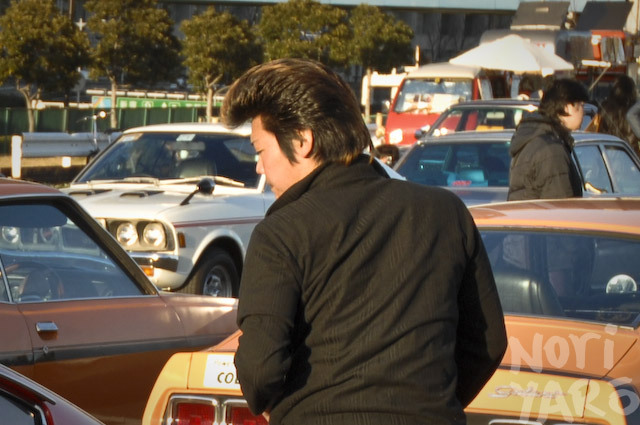 If you own a hotrod, you should wear the appropriate slicked hair, t-shirt and jeans rockabilly greaser fashion to a car show. 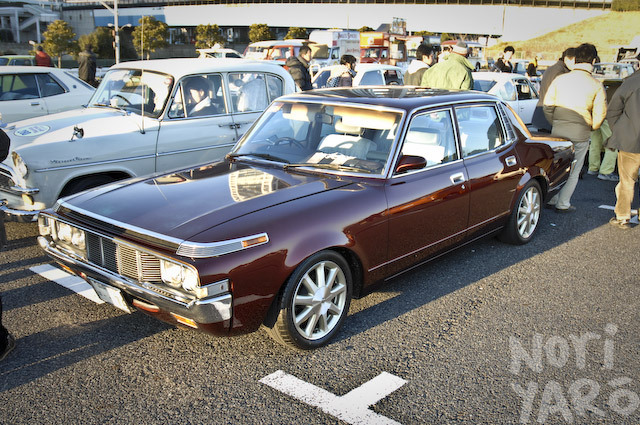 In the same way, no self-respecting shakotan-driving Japanese lad would be seen without a Regent as fine as this. 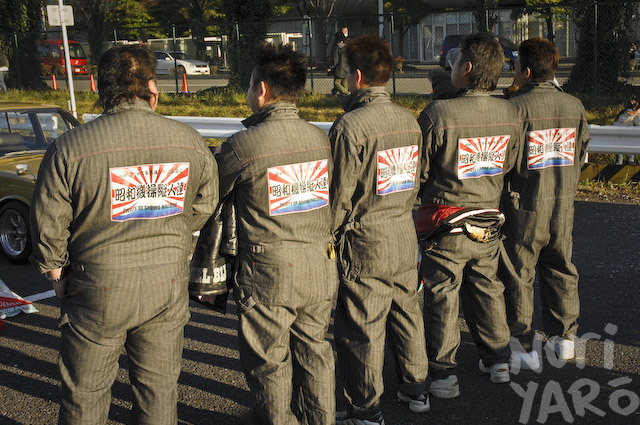 These guys are the “Pilots of Showa Machines”. 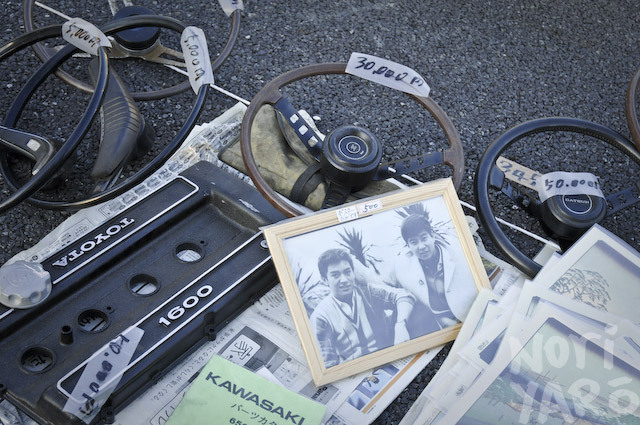 The Showa period of Japanese history ended in 1989 when Emperor Hirohito died. These guys only drive cars from the 80s or earlier. Hatch propped open, of course. 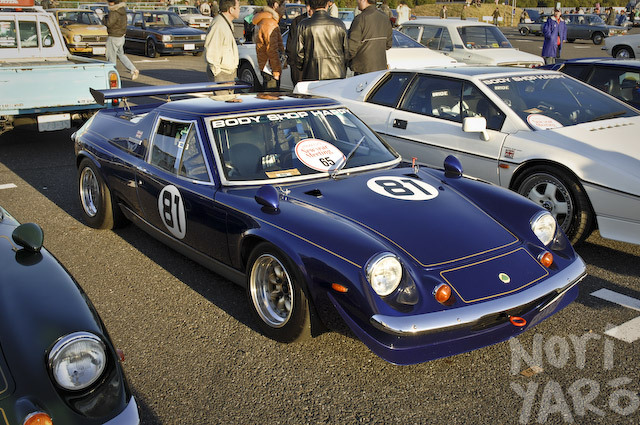 Just about every Lotus Europa in the country turned up. These guys all lived a fair way apart from each other, but their similarly-painted Galants made a good team. 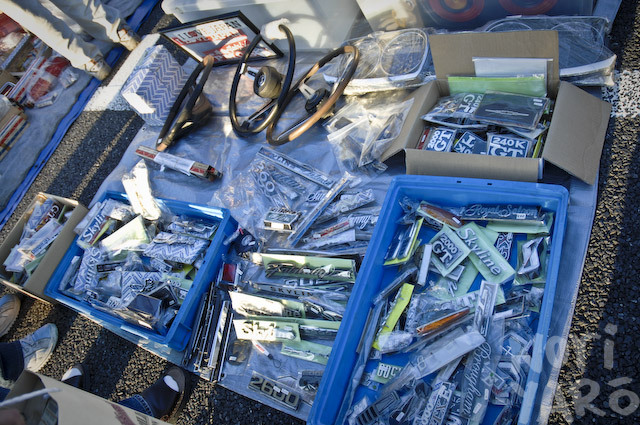 There were lots of spare parts for sale in the flea market area. 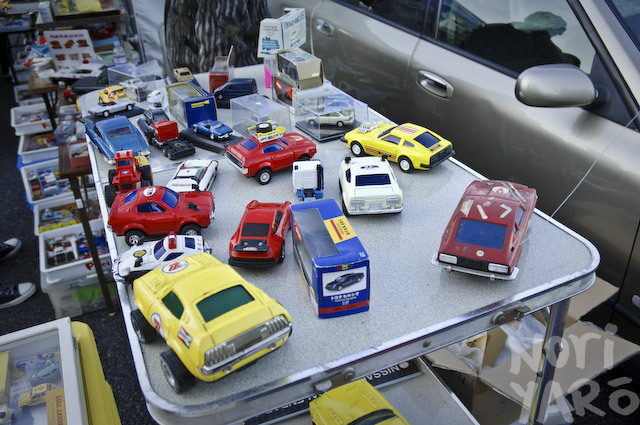 …and even old car toys. Old S60 Crown on new Crown wheels. 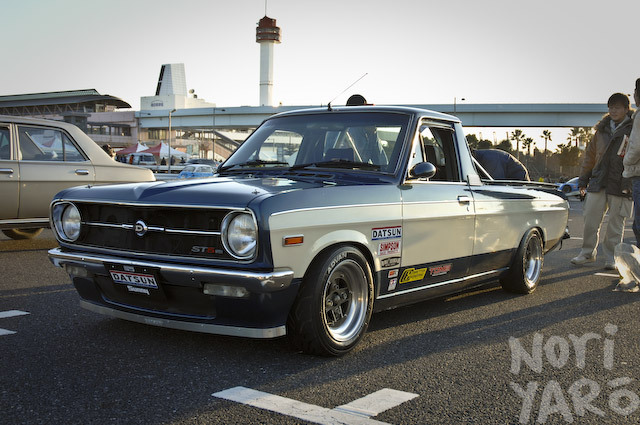 Who’d have thought a Corona on banded steelies could look this good? I’m not a B-series Sunny expert, but I think this is the long tray version. 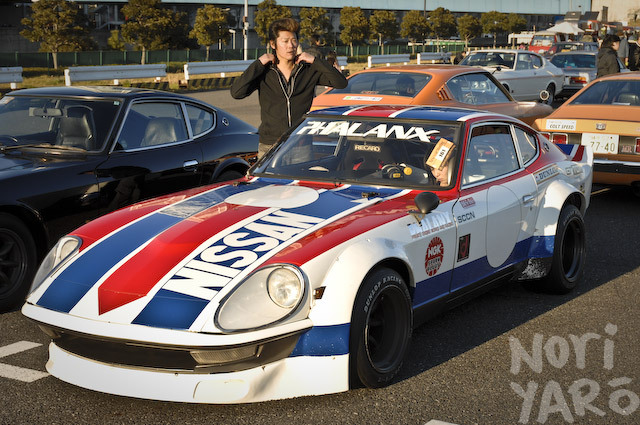 Nissan 240RS Group B road-homologation rally car. 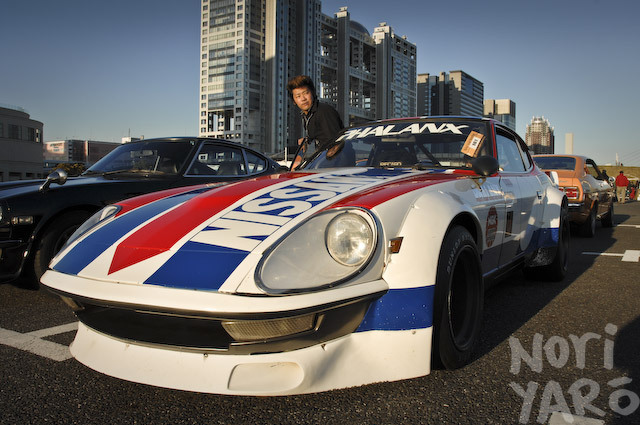 Complete with the very clean and original NA FJ24. 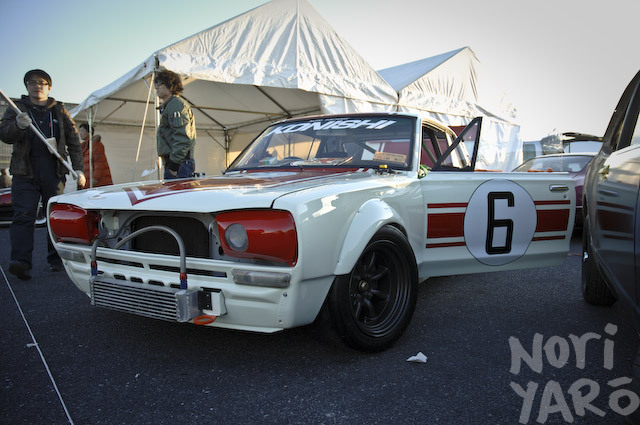 When they say “box fenders”, they’re not messing around. 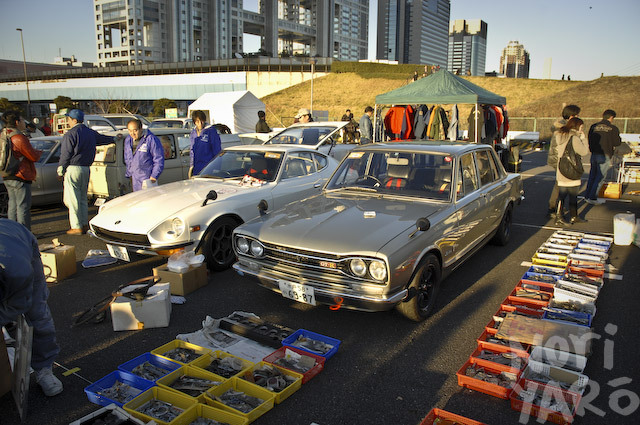 Lots of old Skylines coming in part II. a m a z i n g………… thats so rad! 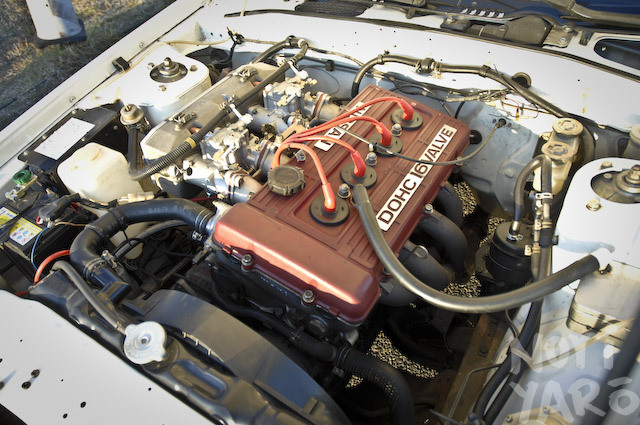 The 240RS had a FJ24 IIRC. 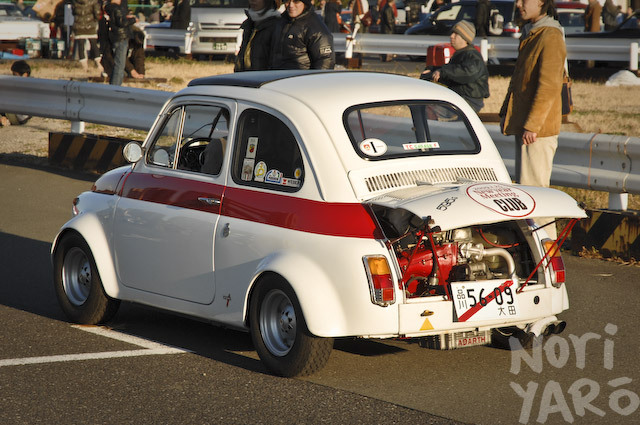 They rev really high and make good power. Feck me hard that Z is so rough, so tough. i wish the greaser style was cool over here! You covered all that in 10 minutes?!! That would be right. Correction made. They started playing the kickout music when we were looking at the Sunny. awesome pics and coverage!!!!!!! 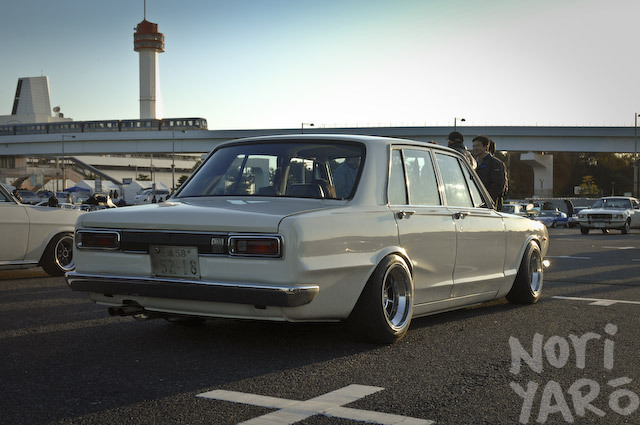 vintage japannn!!! thx for the pics (and i agree you should get there earlier next time and with a new camera). SHOWA! 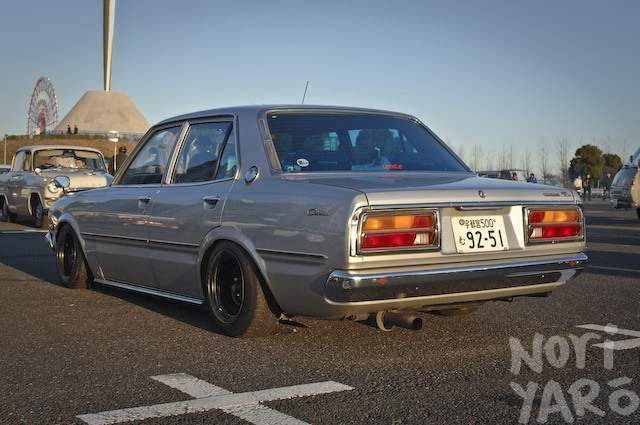 That dude with the 240 at least washed the front. 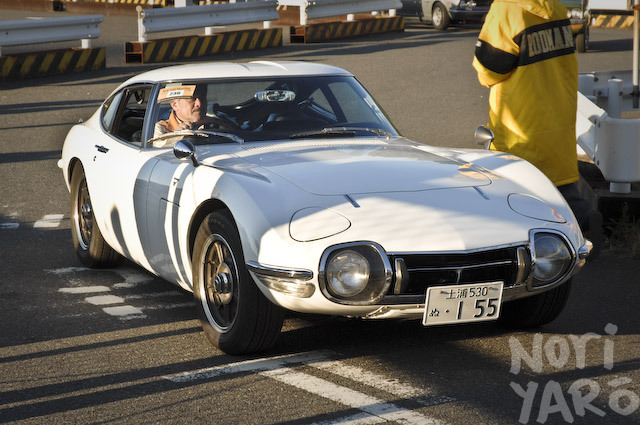 those vintage cars are HOT! 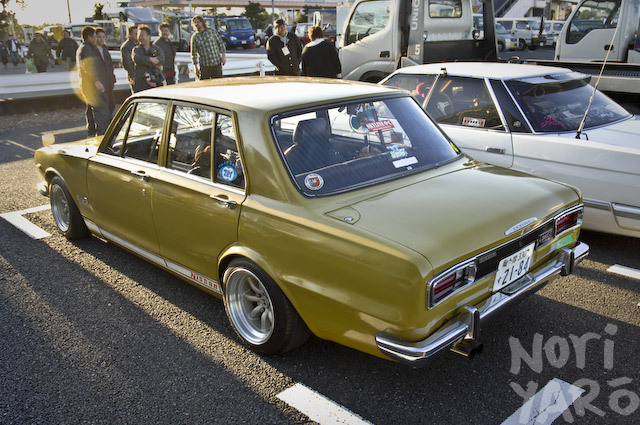 Fabrizio Chinaia my name and they have a Toyota Carina 1600 ST TA23, 1973, and try different parts. Can you help? 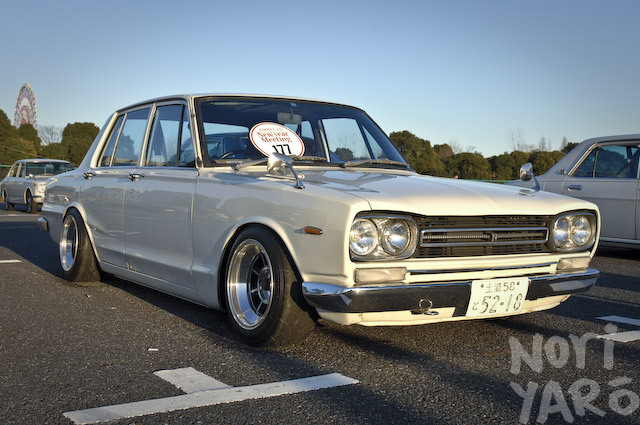 I have a Nissan Skyline 1500cc, PGC10 4door 1971. I’m looking for some parts. Can anybody help me? 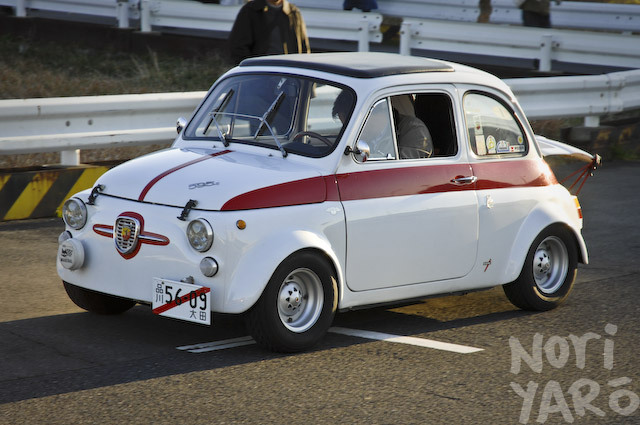 I love the vintage cars ! I’m glad you made it to the last 10 minutes… you could have gone home and went to sleep and left us with nothing ! :’( THANK YOU ! The old crown on new crown wheels is amazing.